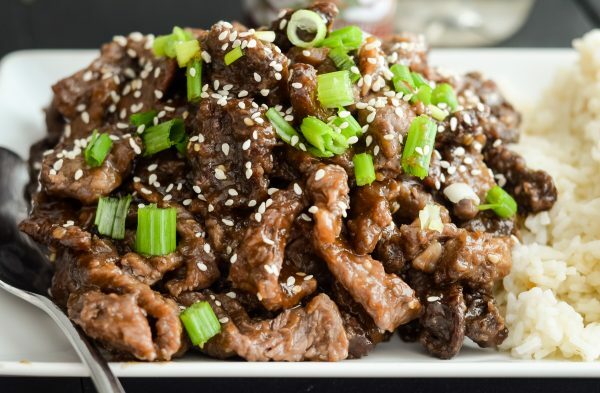 It’s time for a tasty dinner with Air Fryer Korean BBQ Beef! This post is sponsored by Pompeian Oils, all thoughts and opinions are my own. 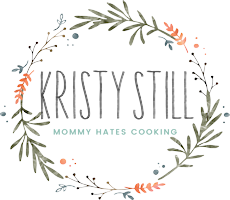 By now most of you probably understand my love of the Air Fryer, right? 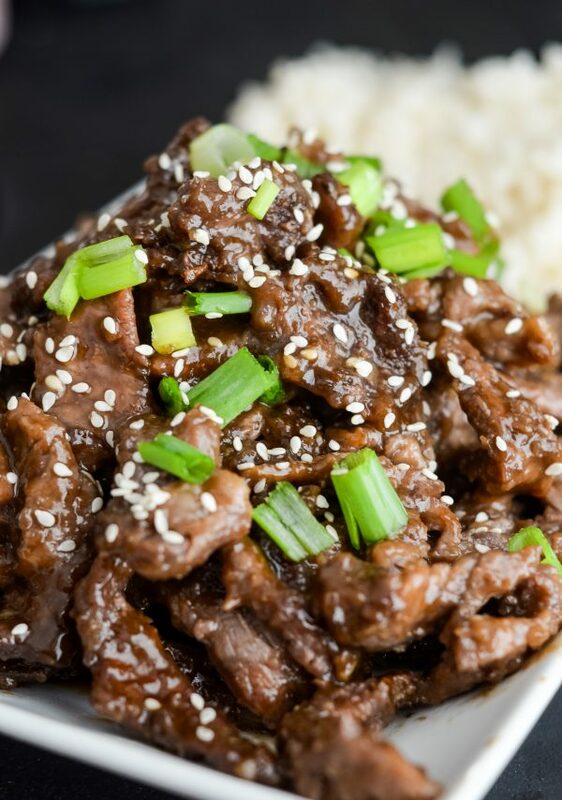 One thing we absolutely love to make in it is meals such as the Air Fryer Korean BBQ Beef. 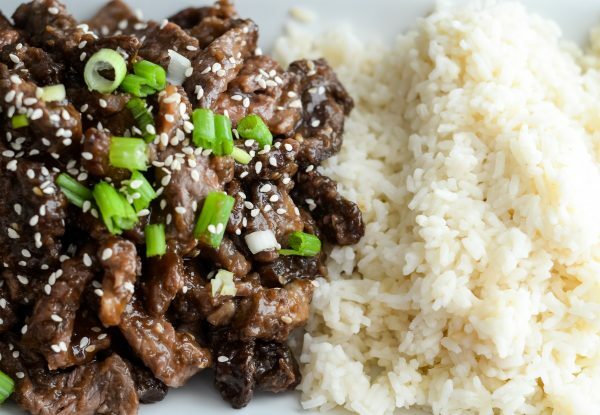 This meal is done by cooking the thin steak first in the air fryer and then simply mixing it with a Korean BBQ Sauce using Pompeian Oils. 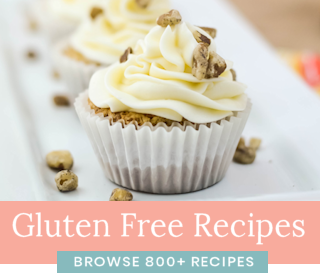 It’s one of those meals that typically you would probably think of ordering it out, now though you can make it right at home. 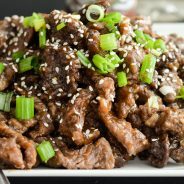 How do you make Air Fryer Korean BBQ Beef? 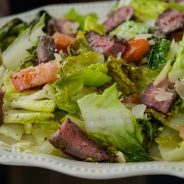 To make this dish, you will want to pick up a thin sirloin or flank steak and cut it against the grain. The slices need to be thinly sliced, in this case think bite sized chewable pieces. It’s also best to coat the steak with cornstarch and Coconut Oil Spray. 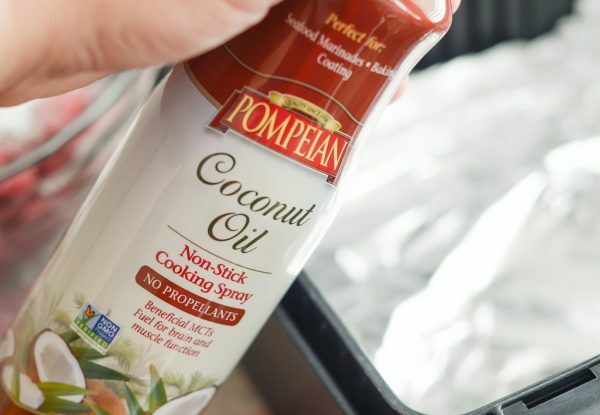 We like to use the Coconut Oil Spray because it adds a nice subtle, sweet flavor and gives it more of a crispy finish with the cooking in the air fryer. The flavors compliment the dish well. This spray does not contain any artificial additives either, which makes it a great choice for the whole family. When this spray is used there are no propellants that dispense into the air. The key ingredient here is going to be the Korean BBQ Sauce. 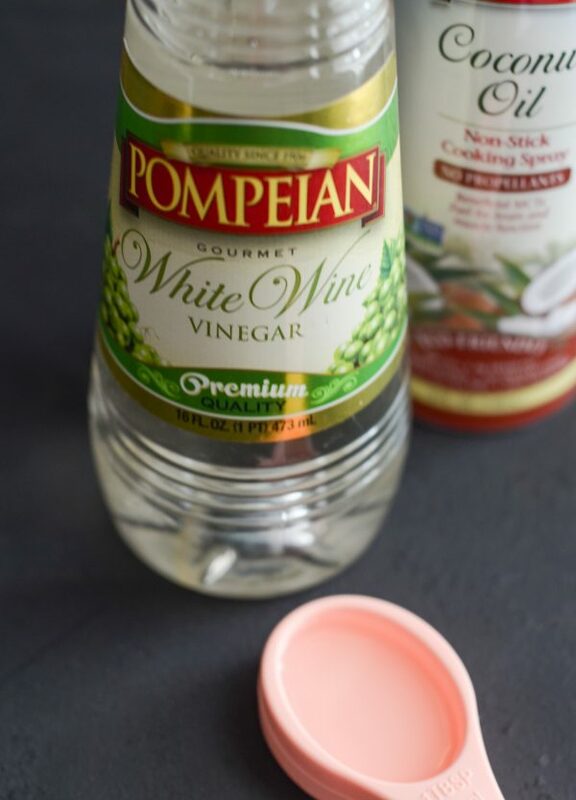 I’ve adapted the recipe a bit and also use Pompeian White Wine Vinegar to add to the sauce. This is a great addition with a crisp, clean taste and it contains 0g of sugar. It works perfectly with a variety of sauces. 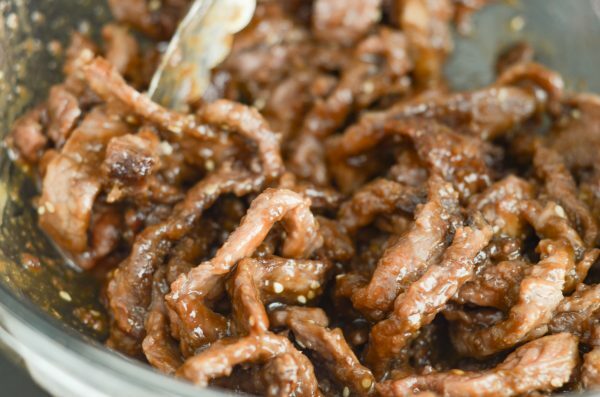 What do you need for Air Fryer Korean BBQ Beef? 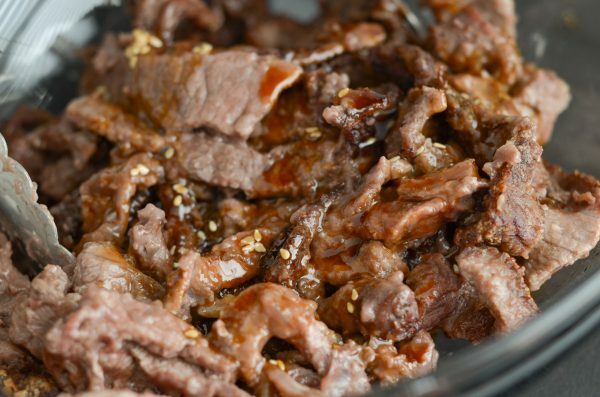 This is what you will need to make Air Fryer Korean BBQ Beef. We like to pair ours with green beans and rice to complete the meal. 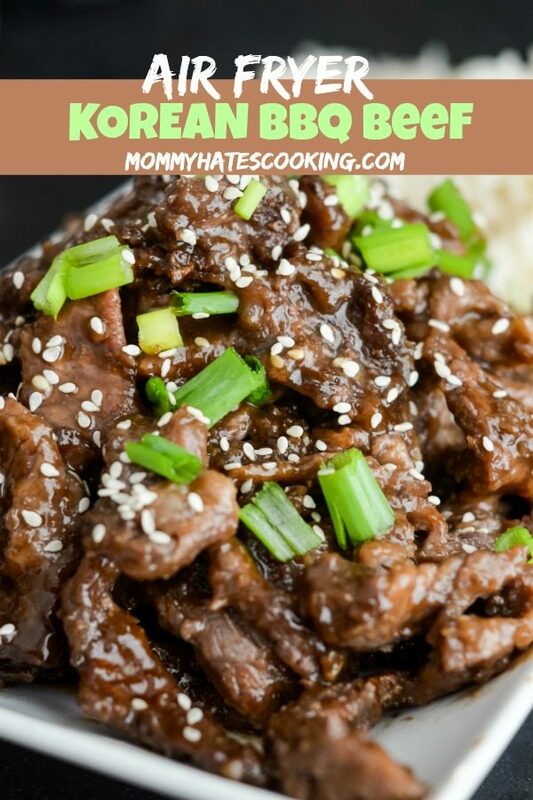 Remember to that this is just my version of Korean BBQ Sauce and what works best for our family. 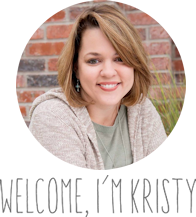 I have seen others that add in Sesame Oil or Asian Pear Juice. Feel free to add those in if you prefer as well. 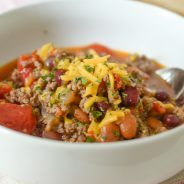 This is such a delicious hearty meal for fall. 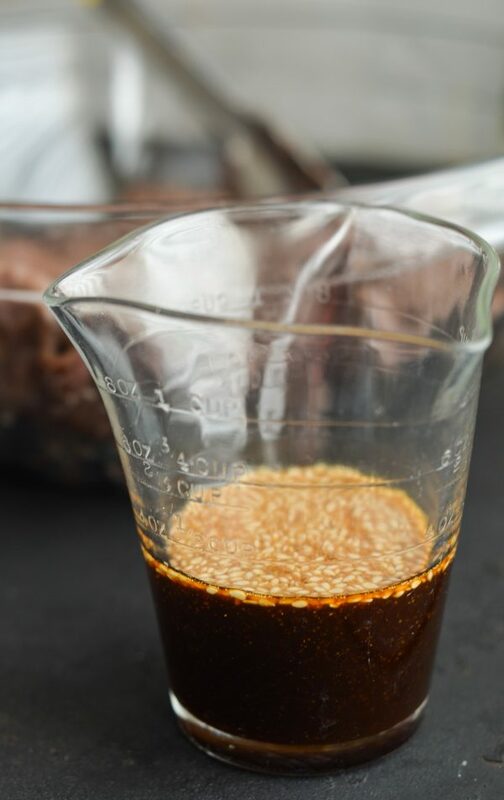 The sauce can actually be used on a variety of meats like ribs or chicken as well. A meat of choice is short ribs, which is a great one to add this to and grill outside. 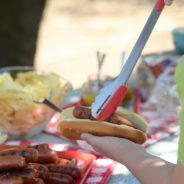 It’s a great choice for a cookout in the fall with grilled meats, plus a nice alternative to traditional bbq sauce. With Pompeian Oils we are able to go beyond everyday meals and really experiment in the kitchen, which is what I happen to love. Do you? 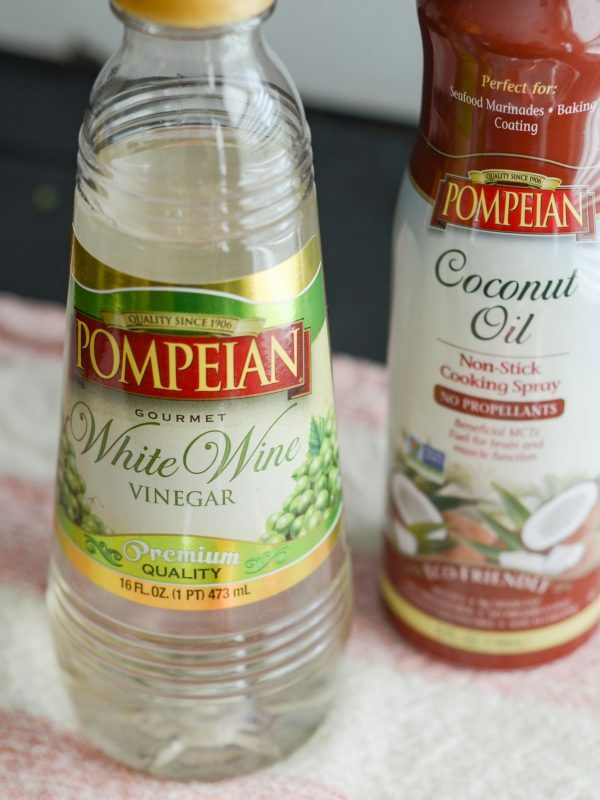 All Pompeian Olive Oils and Organic Vinegars are made in compliance with the Non-GMO Project Verified Standard and have the seal. That means you can trust that you are getting the highest quality ingredients with Pompeian Oils. What else is #TrendingintheKitchen at our home? Are you ready to eat up? 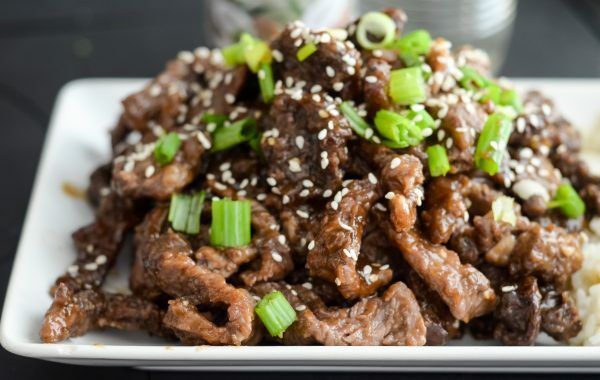 It’s time for Air Fryer Korean BBQ Beef! 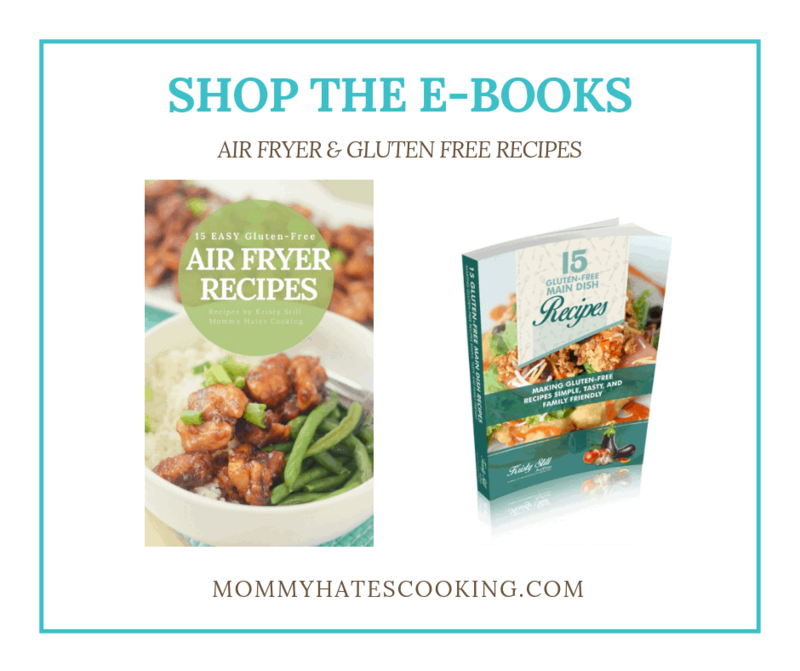 Make a tasty meal with Air Fryer Korean BBQ Beef that is completely gluten-free too! Begin by preparing the steak. Thinly slice it then toss in the cornstarch. 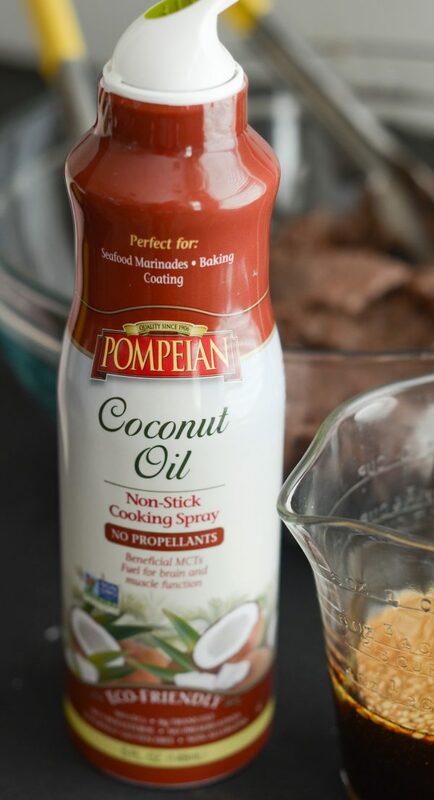 Spray the basket or line it with foil in the air fryer with coconut oil spray. Add the steak and spray another coat of spray on top. Cook in the air fryer for 10 minutes at 390*, turn the steak and cook for an additional 10 minutes. While the steak is cooking add the sauce ingredients EXCEPT the cornstarch and water to a medium saucepan. Warm it up to a low boil, then whisk in the cornstarch and water. 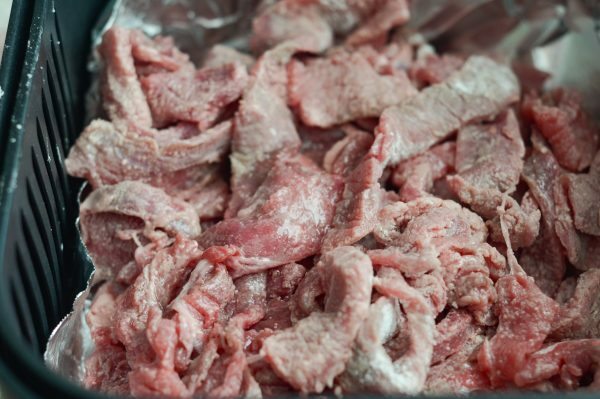 Carefully remove steak and pour sauce over the steak, mix well. 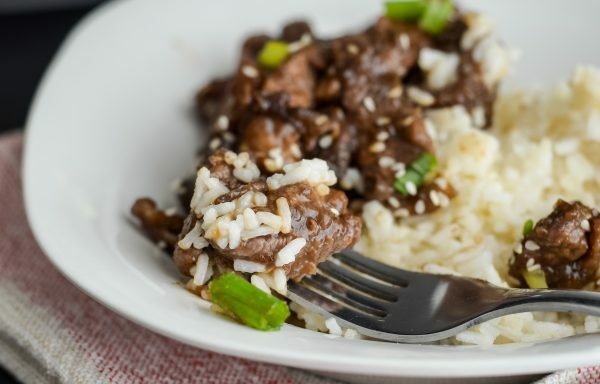 Serve topped with sliced green onions, cooked rice, and green beans.